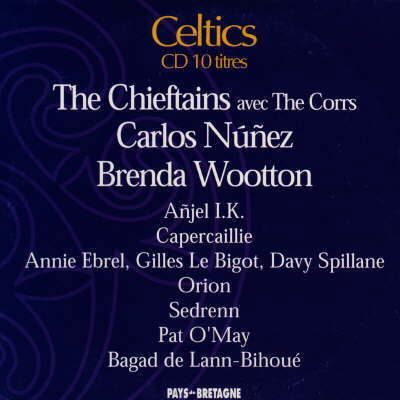 Celtics, Pays De Bretagne, FR003, France, 1999. Orion track on this compilation: The Shores of Marsannay (from album Restless Home). Other artists included are a.o. 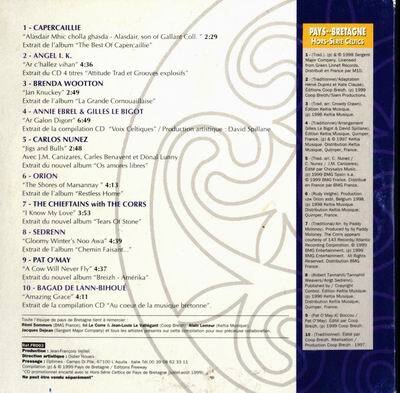 The Chieftains with The Corrs, Capercaillie, Carlos Nunez, Annie Ebrel with Gilles Le Bigot & Davy Spillane, Anjel I.K., Brenda Wooton, Pat O' May, Sedrenn, Bagad de Lann-Bihoué.